Long and Short Romance Reviews will have an interview with me tomorrow. I’m a guest on Michelle Miles’s Ye Olde Inkwell on June 19. I’ll be roasted at Author Roast and Toast on July 13 (yup, Friday the 13th). The short story “Town Crier” will release this week. 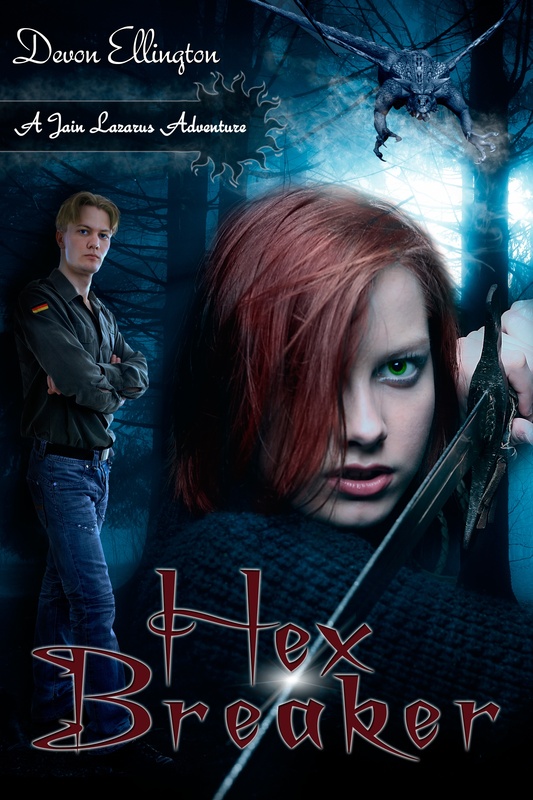 HEX BREAKER release and New Excerpt! I’m absolutely thrilled to announce that the first Jain Lazarus Adventure, HEX BREAKER, is out, from Solstice Publishing. The original publisher went out of business, which meant the book (and the series) went out of print. Once the rights reverted, I took a break to lick my wounds, outlined the entire series, and then started my market research. During the time I tried to find the right publisher, I kept getting requests for the book, and questions as to when Jain, Wyatt, Billy, and the gang would be back. Solstice Publishing and I came to an agreement, and HEX BREAKER was contracted. The remarkable PJ Friel did the new cover, and my editor was the creative, eagle-eyed, and compassionate Shawna Williams. I couldn’t ask for better support than with these two. I feel really lucky — I got to revisit the book, go deeper into Jain’s POV with the knowledge I now had for the rest of the series, making it richer and more complex. Solstice contracted the second book in the series, OLD-FASHIONED DETECTIVE WORK, and I plan to get third, CRAVE THE HUNT, to them this summer. OLD-FASHIONED DETECTIVE WORK is from Wyatt’s POV, and CRAVE THE HUNT alternates from Billy’s and Jain’s POVs. Billy gained such an adoring fanbase that he’s now got his own blog, Billy Root Blogs, where he talks about the books, the stories, and what it’s like to be an actor playing a character who’s a character in a series of novels. Fun stuff, and great fun to write in his POV outside of the narrative. Yesterday’s blog post contains a new excerpt, only found on the blog, not here or on the website or in the media kit. Read it here — then come back and read another new excerpt on this blog, below! So what’s HEX BREAKER about? Vince rounded the corner, followed by several members of the crew, including Dennis and Mike. Cady wrenched herself away from Nick and flung herself into Vince’s arms, sobbing. Smeared across the door to Cady’s trailer and along the wall was a mass of grayish-red matter. Red liquid dripped from it. “Something’s been killed,” Billy said with a shudder. “It looks like someone’s head was smashed and smeared against the wall of the trailer,” said Nick. “Is anyone missing?” Dennis asked. “I’ll make the rounds and do a head count.” Mike turned and hurried away. More information on the Jain Lazarus site. Available on Amazon Kindle and from Solstice Publishing. Author devonellingtonPosted on June 5, 2012 June 5, 2012 Categories UncategorizedTags "Town Crier", Amazon Kindle, Billy Root Blogs, CRAVE THE HUNT, Devon Ellington, Hex Breaker, Jain Lazarus Adventures, OLD-FASHIONED DETECTIVE WORK, PJ Friel, Shawna Willaims, Solstice Publishing, writing1 Comment on HEX BREAKER release and New Excerpt!